Leon’s New Products Bring Art and Design to the Forefront at ISE 2019 | KMB Communications, Inc.
Blending multiple disciplines, Leon’s latest innovations transform audio into art for a fully immersive audiovisual experience unlike any other. 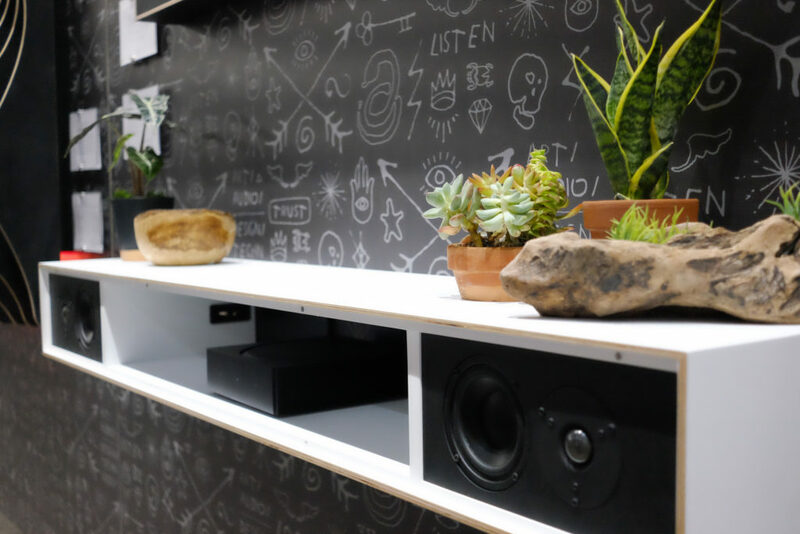 Ann Arbor, MI (January 7, 2019) Leon Speakers, American manufacturer of bespoke custom speakers and design-driven technology concealment solutions, will be showcasing a new collection of products that combine art with audio at ISE 2019, in stand 1-N80. Leon has been leading the conversation on mixing design with technology since their inception in 1997 and their latest innovations were created to elevate the modern technology experience, pushing integrators and consumers to expand their idea of what’s possible. Working in partnership with Sonos® to develop a line of lifestyle products for their new amp, Leon’s Ente Series brings enhanced sound and Leon’s signature style to Sonos. The Ente Sound Sculpture is a wall-hanging sculptural piece that incorporates curved Baltic Birch panels, LED lighting, and two channels of audio. The Ente Sound Tile features a screen-printed grill with limited-edition artwork to conceal the speakers behind it. Both models feature audio by Leon and are powered by the new SONOS AMP®. In partnership with LG and Blackdove, DAIS is a new canvas for the emerging digital art category. DAIS integrates high-performance audio from Leon, LG’s finest OLED screen, and contemporary, streaming digital art from Blackdove— all encased in a sleek metal frame featuring stylized linear bar speaker grills. Leon’s new Horizon Denza transforms the soundbar into a modern home furnishing. A soundbar and floating shelf in one, Denza is handcrafted out of Baltic Birch with internal cabinet space to house two channels of audio with additional storage space for AV components like the new SONOS AMP®. Also at the show, Leon will be displaying some of their front soundstage, architectural, and subwoofer models, as well as their expanded line of outdoor audio products after their acquisition of Terra Speakers in May of 2018. Visit Leon at the 2019 Integrated Systems Europe show, stand 1-N80. Leon Speakers is an American audio company committed to creating products that balance technology with design. 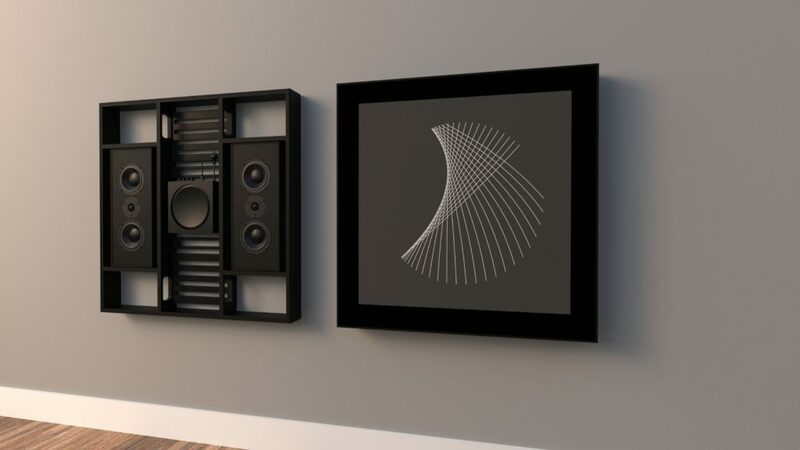 Over the past 20 years, they’ve become a leading voice on bringing a design-driven approach to the AV industry, creating innovative products that merge sound and style. Serving both the residential and commercial markets, Leon’s custom speakers and media concealment solutions are available exclusively through high-end audio/video retailers. Visit www.leonspeakers.com to find dealer locations worldwide.